Back pain affects millions of people worldwide, ranging from mild soreness to debilitating pain. Chronic back pain can be aggravated easily and can come without prior notice. While many of us take measures to alleviate the ache, managing chronic back pain effectively is something we should know how to do. Read on for facts on back pain and to see how acupuncture therapy might be for you. Back pain usually affects people aged 30-50. Causes for back pain can be stressful desk jobs, pregnancy, a sedentary lifestyle, age, anxiety, depression, obesity, smoking, strenuous physical work, and working out incorrectly. Diseases, heredity, and poor physical fitness are also contributing factors to back pain. Upper back pain can occur anywhere from the base of your neck to the bottom of your ribcage. While it's not as common as lower back pain, upper back pain can also cause pain in your arms, legs, chest, and belly, as the nerve that is irritated or pinched in your back can send pain along those nerves. Upper back pain can be caused by poor posture, muscle strain and overuse, herniated discs, and osteoarthritis. Symptoms include a dull, sharp pain, or muscle tightness and stiffness. Lower back pain is the most common, and mostly everyone experiences it at some point in their lives. The pain starts below the ribcage and this area is called the lumbar region. The above causes are common for back pain. Symptoms include a dull ache to a stabbing, shooting pain. Often the pain can make it difficult to stand or even sit. Muscles are inflamed and the pain can travel down to the buttocks and leg as well, making managing chronic back pain quite difficult and frustrating. 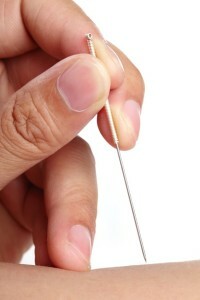 Acupuncture therapy involves inserting thin needles into certain points along the nervous system. Acupuncture therapy is said to correct the flow of energy throughout the body, which helps relieve pain and restore health. Stimulating the nervous system sends chemicals into the muscles which promote well-being. Most people will feel a tingling sensation, or experience feelings of relaxation and energy. Needles are inserted into various areas of the body, and are generally left in for 15-30 minutes. The electromagnetic signals that are transmitted via the needles are said to release endorphins, which are the body's natural pain killer. For back pain especially, acupuncture is a great treatment option as the pain originates in the spinal area, which is the central system for all nerves. With proper treatment, managing chronic back pain should be much easier for you. Contact us to book an appointment for acupuncture therapy.